This is not a return to reviewing. It’s been just over two months since I announced a sabbatical, and I intend to stick to it. This is a rediscovery of a review written many years ago of the book that, in a way, introduced me to the world of performing arts. More specifically, dance. I may not understand much about the technicalities of Indian or Western ballet even now, but thanks to Richard Austin’s delightful book, I felt like I had an insight into the life and art of those driven, talented women (and men) who use their bodies to express themselves and create visuals that enthrall us. Profiling a great artiste is never easy. Very few biographies of the truly artistically gifted have come even close to doing justice to the brilliance of their subjects. 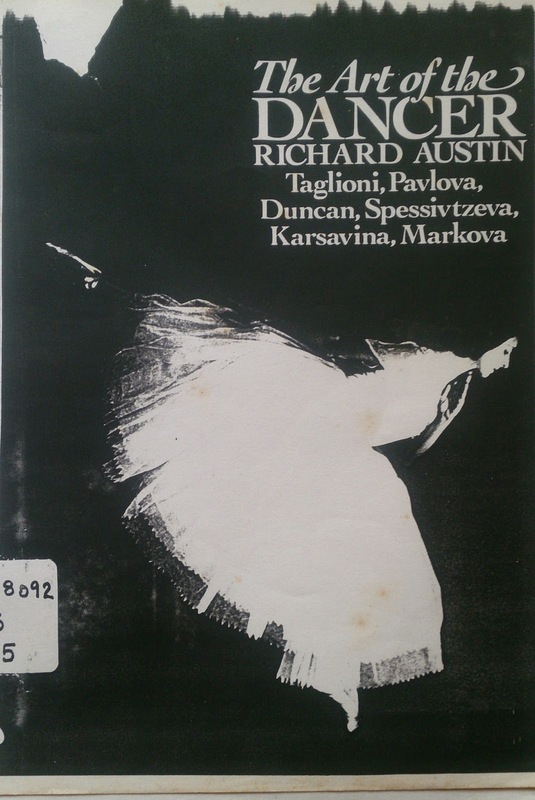 The task undertaken by Richard Austin in “The Art of the Dancer”, of profiling six of the finest exponents of an art so visual as dance becomes, then, positively Herculean. 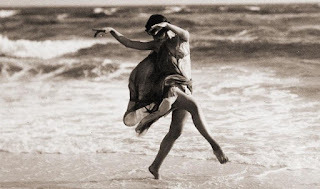 Dance is an enthralling form of art, comprising beauty of form and technique, of harmony with the music and of dramatic expression. Encapsulating the grandeur of this moving, living art form in mere words is like trying to compress the water of the Nile in a wine-glass. Having said that, Richard Austin does an admirable job of trying. This slim book is a treasure-trove of nuggets of information and insights into the lives of six artistes who were, in the strongest sense of the word, stars. 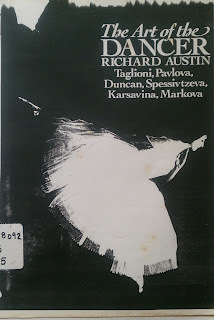 Writing in very elegant prose, Austin tries to shed some light on the obscure facets of the lives of the dancers, their relationships with parents, friends and lovers, their impoverished backgrounds, their early training and how all these aspects contributed to making them the great artistes they were. 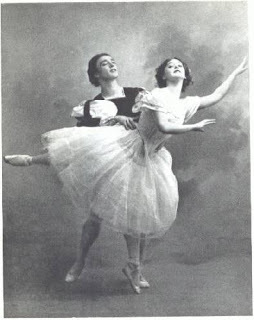 The book is divided into six sections, each devoted to one of the dancers. 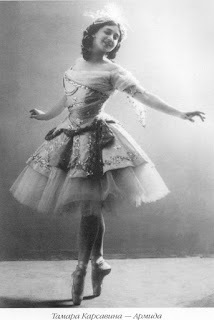 The first dancer profiled is the French sensation Marie Taglioni (1804-1884). 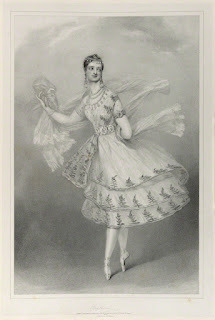 Austin writes an interesting account of her glorious dancing and very pedestrian nature, creating a fascinating story of a woman whose failings were as human as her dancing was divine. Driven hard by a father who lived vicariously through his brilliant daughter, Taglioni, like Mozart before her, found solace in her dance, a rare gift that raised the ordinary choreography of her father to sublime levels. 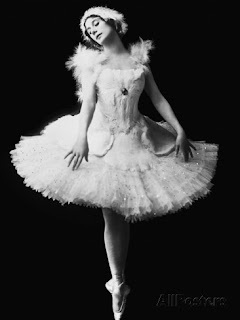 The first dancer to have an admirer throw a bouquet of flowers at the stage, she’d go on to be the recipient of the most extravagant gifts, inspite of her less-than-prepossessing personal appearance. Raised from extreme poverty to immense wealth and then reduced to poverty again by the depredations of her father, Marie’s story is of a person who was constantly striving to overcome her limitations, and invariably did. 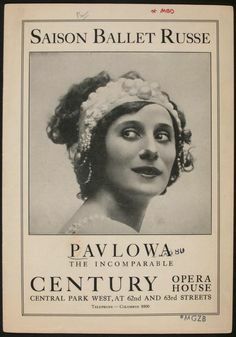 He then moves on to the incomparable Anna Pavlova (1881-1931). Austin does not try to describe her dancing, and with good reason – by all accounts, such an attempt would have been futile. To all with even a passing acquaintance with the ballet, she will always be The Dancer, a gift of the Gods who chose to shine on the stages of our world like a comet, leaving in her tail a tradition of dance that is echoed in the movements and aspirations of thousands of aspiring ballerinas in schools from San Francisco to St. Petersburg. Austin rather chooses to describe the nature of this woman who was capricious in her ways but steadfast in her determination, jealous but appreciative of her rivals, who dreamt in equal measure of being a princess and of taking the joy of dance to as many people as possible. Anna Pavlova learned early that she brought joy into people’s lives, that when they watched her dance, they left their sorrows, their troubles behind, and lost themselves in the beauty and magic of her art. She spent the rest of her life taking that art around the world, dancing in packed bull-rings in Mexico, in the middle of bloody street-fighting in Cuba, in places as far from the nerve-center of classical dance as India and New Zealand. The Dancer’s life is beyond explanation or justification, she just IS, and Austin manages to do an admirable job of chronicling this fact. Pavlova’s non-classical contemporary, Isadora Duncan (1877-1927) presents another dilemma to Austin – a stormy petrel, a non-conformist, a free-style dancer who won over the most discerning audiences of Russia and Europe, the communist (famously waving a red scarf and baring her breast on stage in Boston, proclaiming “This is red! So am I!”) defied categorization as she defied tradition and the greatness of her art, unlike that of the other dancers in this book, has largely died with her. 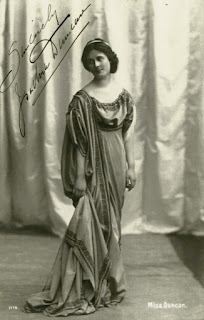 Does Austin quite get into the mind of the eccentric, egotistic genius that this Irish-American beauty was? Could anyone? But he serves up, in his chronicle of her life and her freakish death, a picture of the tempestuous Duncan, her foibles, her passionate nature and her endlessly destructive love-affairs. 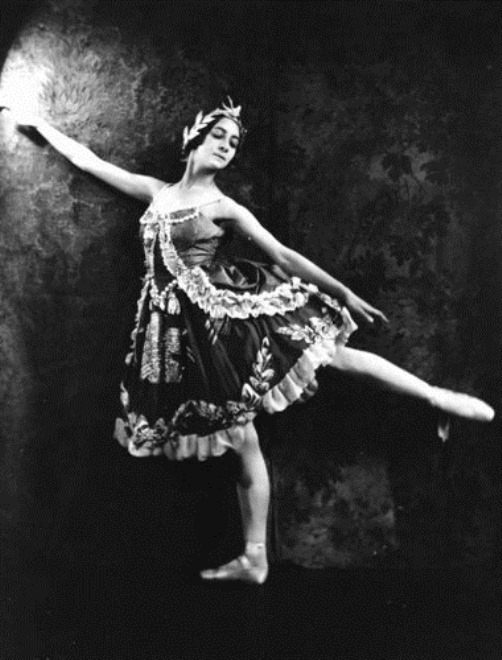 Olga Spessivtzeva, (1895-1991), the classical ice-princess is beautifully depicted by Austin, as he draws parallels and contrasts between her pristine frigidity and Pavlova’s sensual warmth. Olga’s almost detached approach to her art, seeing the dance as an end in itself, rather than as a means of pleasing an audience, is brought out in Austin’s account of her endless hours spent practicing in the studio. Her final descent into madness and recovery is surprisingly glossed over in a few paragraphs, but this profile remains one of the most intriguing pictures of the mysterious woman with the unpronounceable name. 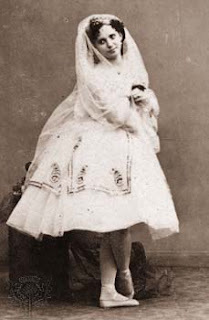 Olga Spessivtzeva as Giselle, a young girl driven mad by grief. Foreboding. 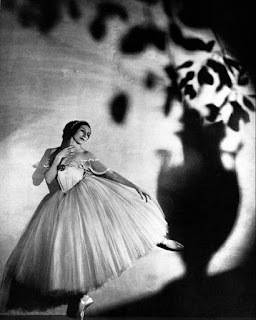 Tamara Karasivena as Giselle. Mercifully not foreboding. Austin presents Tamara Karasivina (1885-1978) in probably the most positive light of all – possibly because she was the most well-balanced, almost ‘normal’ inasmuch as an artiste of that calibre can be termed ‘normal’. 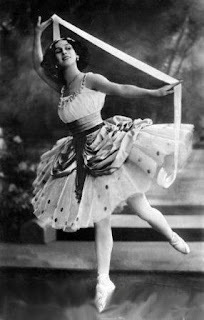 Karasivena was the best actress and surely the most versatile dancer of her time, a fact Austin brings out beautifully in his profile of her. Painting a portrait of a great artiste and beauty who was surprisingly untouched by the arrogance of the typical diva and lived a happy, fulfilled life - a startling rarity, sadly. 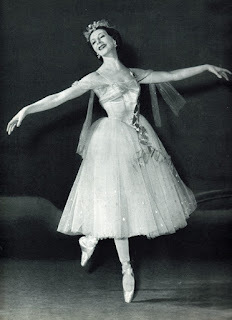 The final portrait is of Alicia Markova, (1910-2004) the first great modern ballerina, a child prodigy who was the toast of London at the age of 10 and continued to enthrall audiences for another thirty years. Alicia was different from the other dancers…an enigma of a different sort. Technically flawless from a very early age, she took some time to realize her self-expression as a dancer, to infuse her own spirit into her performances. Austin presents an interesting story of a subdued, docile nature that lived and blossomed into its own under the lights of the stage. The Art of the Dancer is essential reading for anyone with an interest in the classical dance forms, but I would also like to recommend it to the casual reader and for those who wish to improve their own writing style. The book serves as a master-class in the use of prose to describe motion, showing in a rather poor light the attempts made by more celebrated writers of fiction. In any case, for a generation that, like myself, has been brought up on physical education drills masquerading as dance, a peek into the lives of the true geniuses of the art can only be beneficial. It makes one long for something better, something more than what life in the mundane world has to offer. And that can only be a good thing. Prized possession. You may look, but you can't touch. Sounds very interesting. I have no clue about dance but your review makes it sound an alluring read. It is always interesting to know how artists approach their art. Thanks, yes - the point is precisely that the writer of this book is more about the lives than the technicalities of dance itself, but you are left with an appreciation of the art anyway. And of course, my review doesn't do too bad a job of accomplishing the same, I suppose. This was possibly one of the first three articles from you that I had read back when we had first started interacting with each other. One of the things I had noticed about those articles back then was how the writing had this unhurried charm to it that would make a reader not just stop and take notice but also make him or her want to live the lives being described by you, as if only THOSE lives were lives worth living while the rest was dull and forgettable. Three years on, the observation still remains valid. I think one factor could be that this (and many of the earlier works you read) was written around 2006-07 or before, when being unhurried was all right, because readers - such as there were - had enough of an attention span to get through a few hundred words. I think now the expectation is for a bomb or two to drop in the first paragraph, and only then can a story or essay be allowed to continue. It feels forced, in many instances, and i avoid doing it because it seems forced coming from me as well. 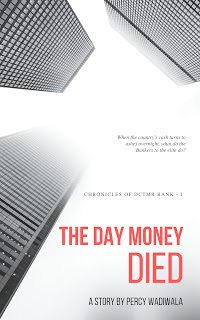 Thank you for reading this, not just now, but 3 years ago, when an unsure, diffident writer with no plans for the future just happened to mention his blog's title in a casual conversation with a tall, dark and scholarly stranger. I should pick this up for reading sometime soon. Reading your stuff is always enjoyable. Keep them coming.